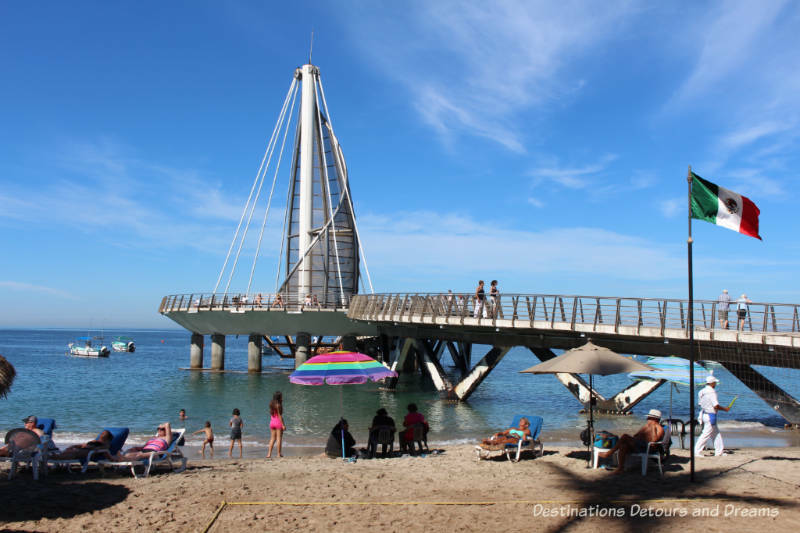 Located along Banderas Bay on Mexico’s Pacific Coast, Puerto Vallarta in the state of Jalisco is a popular winter destination for many people from Canada and the United States. It is easy to understand why it attracts so many visitors. In addition to having wonderful weather and beautiful scenery, there is a LOT to do. Puerto Vallarta has a vibrant art community with many galleries showcasing a variety of art forms. Individual galleries regularly hold special exhibits and openings. 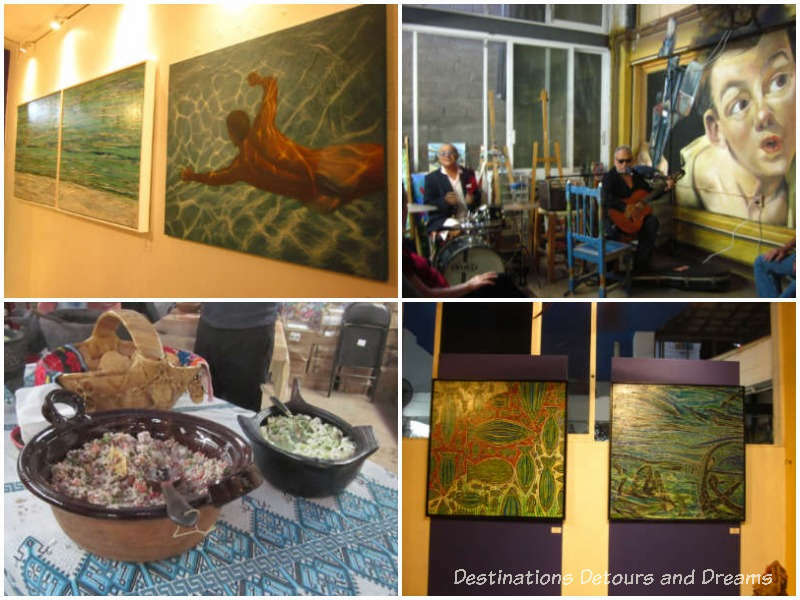 The Puerto Vallarta Art Walk takes places Wednesday evenings October through May in the city’s central area. Participating galleries extend their hours, feature specific artists, and provide refreshment and entertainment. 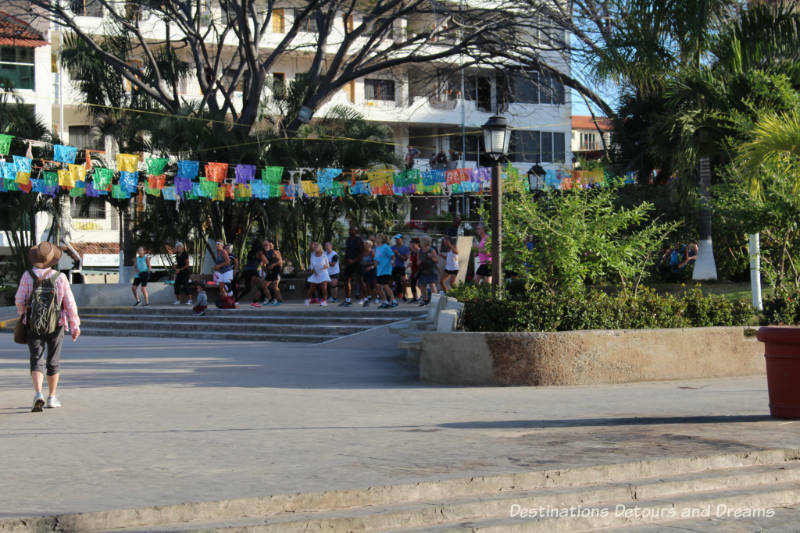 Several shops and galleries in the Romantic Zone participate in the Southside Shuffle, which takes place in the vicinity of Basilio Badillo and Constitución on certain Friday evenings November through March. For those wishing to nurture their own inner artist, several galleries and studios offer classes. Art VallARTa has painting, drawing, and applied art classes. Internationally famous sculptor Jim Demetro conducts sculpting classes at his gallery Demetro Galeria. (Jim and his daughter Christina are the creators of the iconic Vallarta Dancers statue on the Malecón as well as other sculptures in the city.) Many other studios also offer classes. Types of classes include painting, fused glass, pottery, and silk painting. And you can enjoy art just walking through the city. 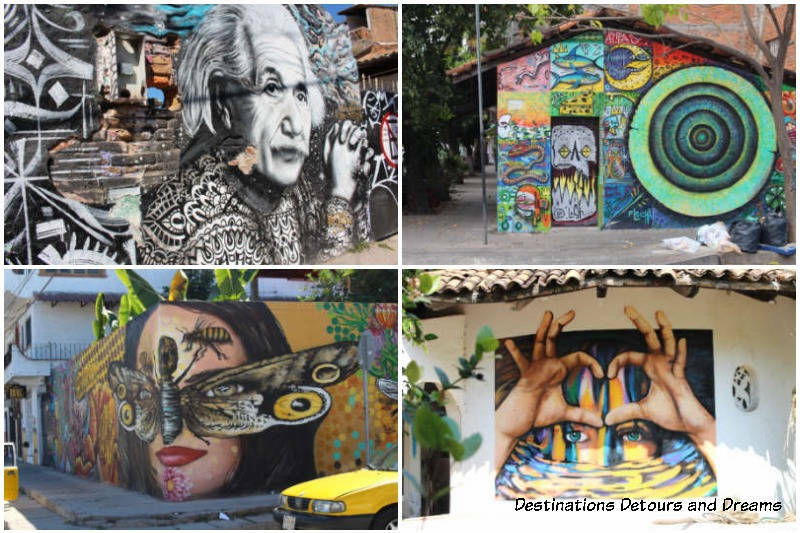 Puerto Vallarta has a great collection of street art. 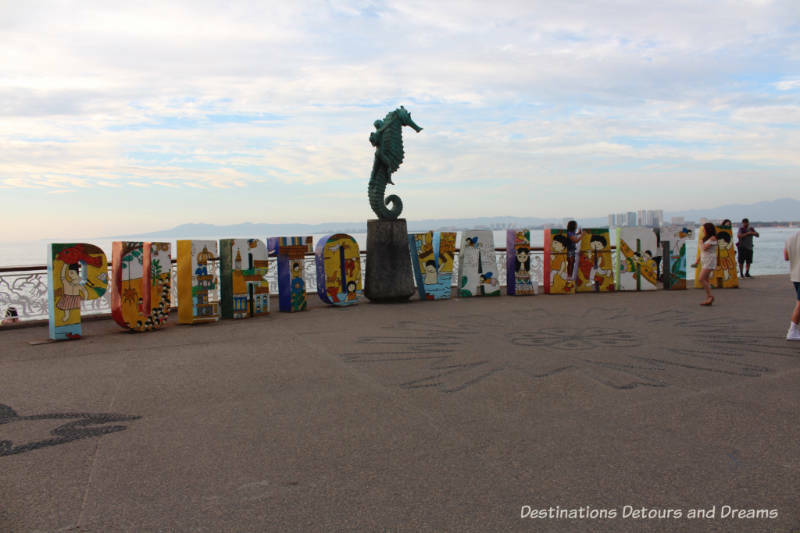 The Malecón is one-mile long seawall pedestrian promenade running the length of downtown Puerto Vallarta from Hotel Rosita in the north to the Cuale River in the south. The newer Malecón extension continues from the south end with a bridge over the river into the South Side Olas Altas and Los Muertos beach areas. 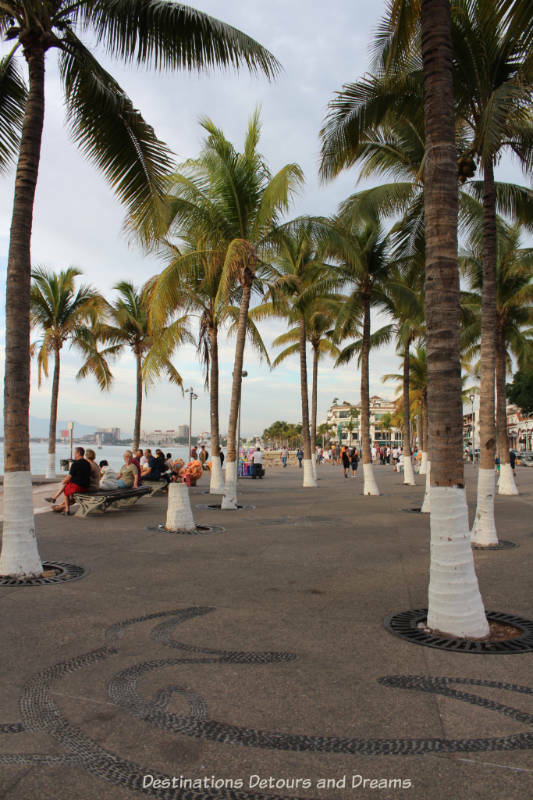 The Malecón has been described as “the heart of Puerto Vallarta.” Tourists and locals stroll the Malecón day and evening. You will find more art here with several sculptures placed along the way. (Free Malecón sculpture walking tours are available Tuesday mornings November through mid-April.) As you walk the Malecón, you’ll encounter entertainers, living statues, street vendors, and food stalls. 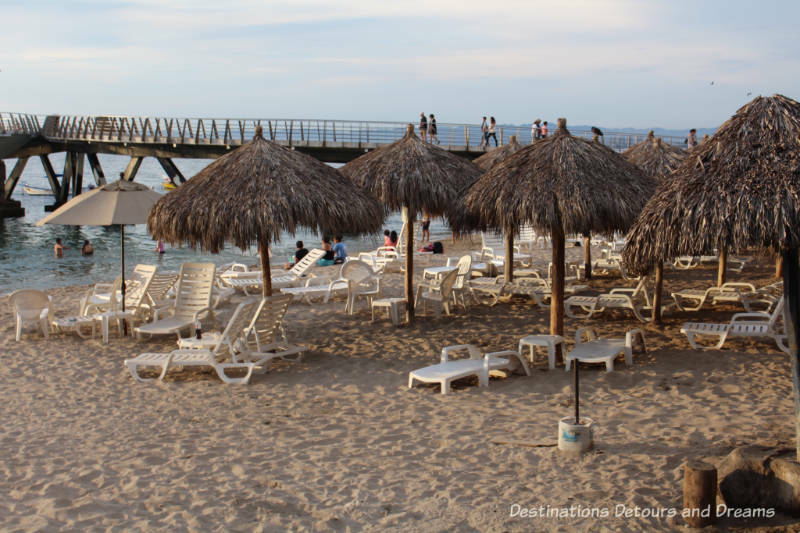 There are many places to sit and admire the view of Banderas Bay, watch the boats and fishermen, watch pelicans feeding and frigate birds soaring, or catch a splendid sunset. Restaurants and bars line the other side of the walkway. 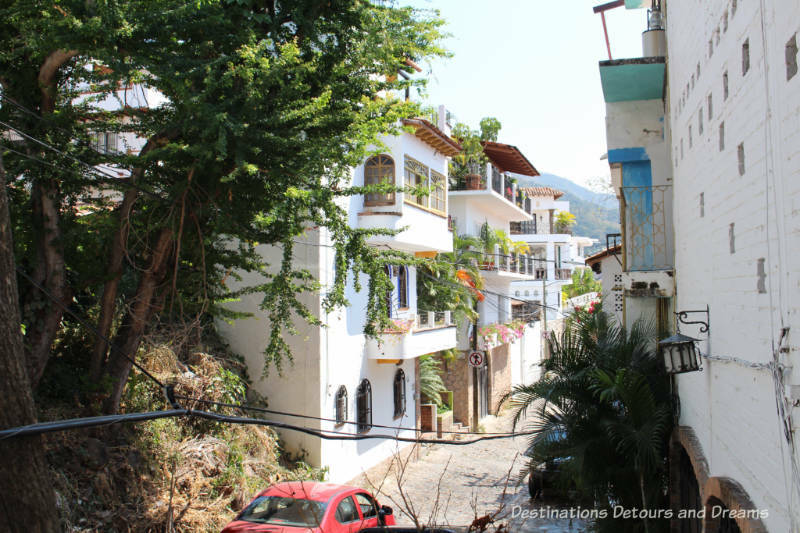 One of the best ways to experience Puerto Vallarta is to explore it on foot. However, caution and good shoes are required. Puerto Vallarta rises up a hill from the bay. There are inclines and steps to navigate. Even relatively level sidewalks will have a few steps up and down in places. Cobblestone streets are uneven. Roads twist and turn but it is difficult to get too lost with views of the ocean to the west and the hills and mountains leading east. Still, you may wish to have a map as a guide. Following is an overview of the neighbourhoods most commonly explored by tourists. El Centro is the downtown area and the oldest section of the city. Here you’ll find art galleries, the Malecón, the Church of Our Lady Guadalupe, the town’s main square, and many dining options. The foundations for Our Lady of Guadalupe Church were started in 1903, but changes in plans and halts in construction meant the entire building was not completed until 1940. The “Crown” was added in 1965. The original concrete crown, damaged by weather and erosion, was restored in 1981. It fell off and was destroyed in an earthquake in 1995. A temporary fibrerglass crown was installed while a more permanent one was sculpted by artist Carlos Terres using a technique called “terroca”, which uses a cemented rock. The residential area up the hill in El Centro is home to Mexicans, Canadians, and Americans. The area up the hill was once known as El Cerro. Gringo Gulch at the south end of El Cerro just north of Río Cuale. It is known for its Spanish architecture and ocean views. Through the 1950s and 1960s, this area developed as an expatriate neighbourhood. Elizabeth Taylor and Richard Burton bought homes here after filming “Night of the Iguana” in 1964 in Mismaloya south of Puerto Vallarta. 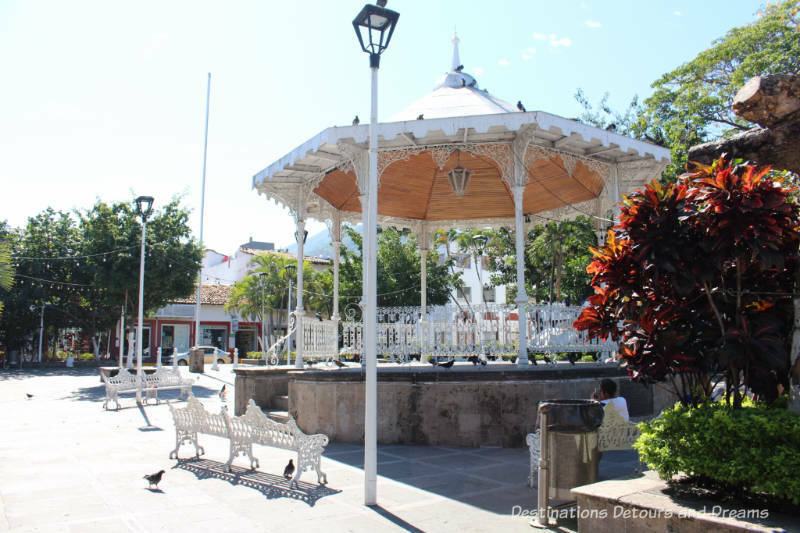 5 de Diciembre is an area located north of El Centro, between El Centro and the Hotel Zone. It was one of the first areas beyond El Centro to be developed. Today, it contains an eclectic blend of locals and expats, street side taco stands, and small eateries. I also discovered impressive street art in this area. Work has been done in the central commercial area to bury electrical wires under the wavy pebble designs on the sidewalks, but in most other areas of the city electrical wires are part of the view. Río Cuale divides El Centro from the South Side. Isla Río Cuale, a small island, is accessible via steps from the Malecon extension, Ignacio Vallarta Street, or Insurgentes Street. There are also a couple of hanging pedestrian bridges onto the island and a new interesting staircase from the Gringo Gulch district. The island contains a flea market, a peaceful park on the east end, and a Cultural Centre. The Romantic Zone is located in the South Side, south of Río Cuale. A tour guide told me the area is now called the “Construction Zone” because of all the new condo building. The area bustles with tourists. 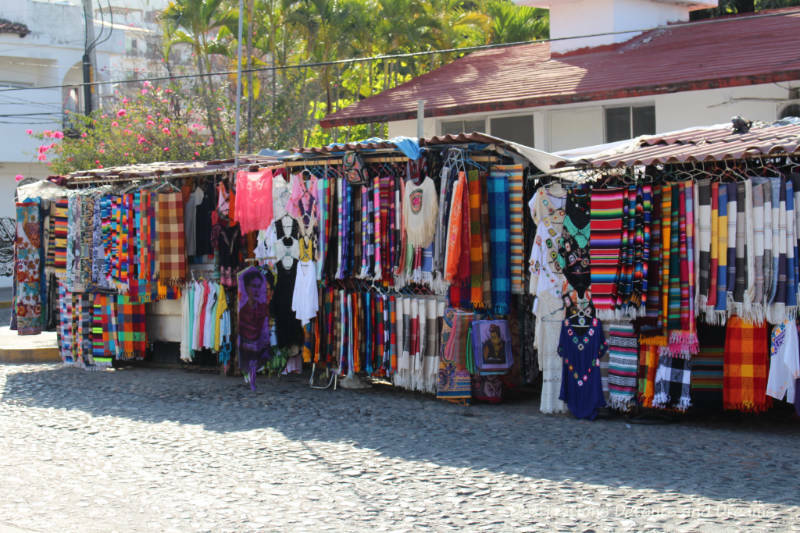 It contains more shops, cafes, bars, and restaurants per square foot than any other area of Puerto Vallarta. One street in particular, Basilio Badillo, has become known as Restaurant Row. Here you also find Olas Atlas Beach and Los Muertos Beach. 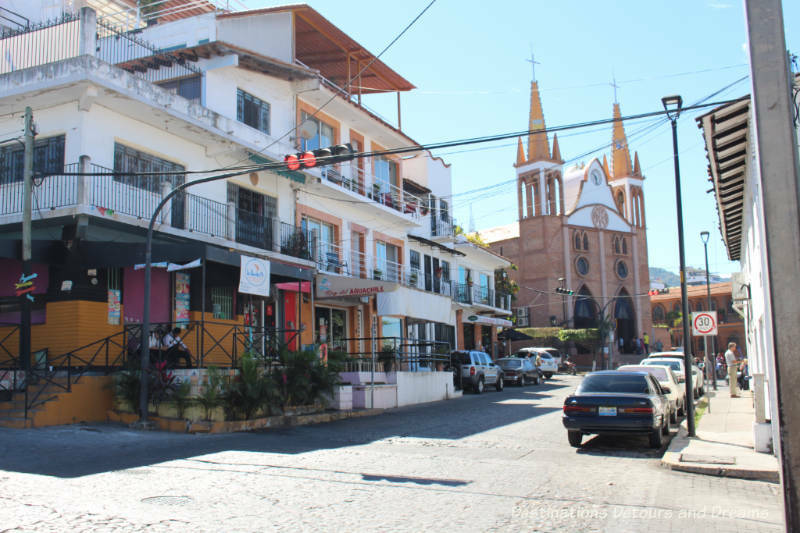 The area around Los Muertos Beach is also known as the “gay area.” The area is part of Colonia Emiliano Zapata, which is sometimes referred to as “Old Vallarta” or “old Town.” That is a bit of a misnomer since the area is newer than El Centro. When you venture east of Insurgentes Street (listed as the boundary of the Romantic Zone on some sites), you’ll find a Mexican neighbourhood with residences, smaller hotels, shops, food stands, produce and meat markets, and a few more restaurants. Although there are hotels located throughout the city, the largest concentration of hotels and all-inclusive resorts is in the Hotel Zone, north of 5 de Diciembre. North of that, between the Hotel Zone and the airport, is the upscale Marina area where you’ll find condos, yachts at the marina, the cruise ship terminal, hotels, shops and more restaurants. If you prefer to have to have more direction and explanation than wandering on your own, you might consider a walking tour. The Municipal Tourism Office offers free walking tours on Tuesdays, Wednesdays and Saturdays. 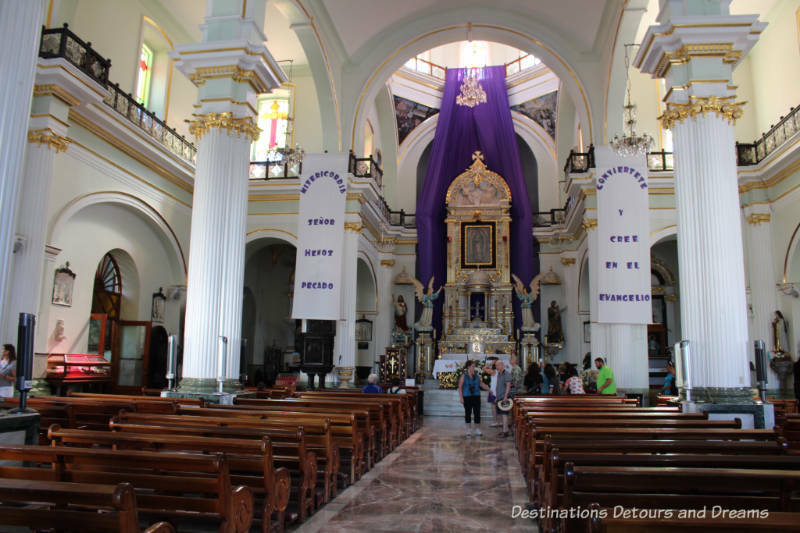 Sandra of Puerto Vallarta Walking Tours offers a variety of themed tours. I particularly enjoyed her Gringo Gulch tour. If you’d like to explore the city without a lot of walking, a couple of tour companies offer bus tours. You may have already gathered from the mention of restaurants in every area of the city that there are a multitude of dining options: taco stands in 5th de Diciember, street vendors on the Malecón, beachfront dining, casual and upscale restaurants in all parts of the city. The food was excellent every place we ate. We became regulars at Ceviche Tuesdays. A few restaurants set up tents along Francisca Rodríguez near Los Muertos Pier offering a variety of ceviche and aguachile Tuesday afternoons from noon to six. 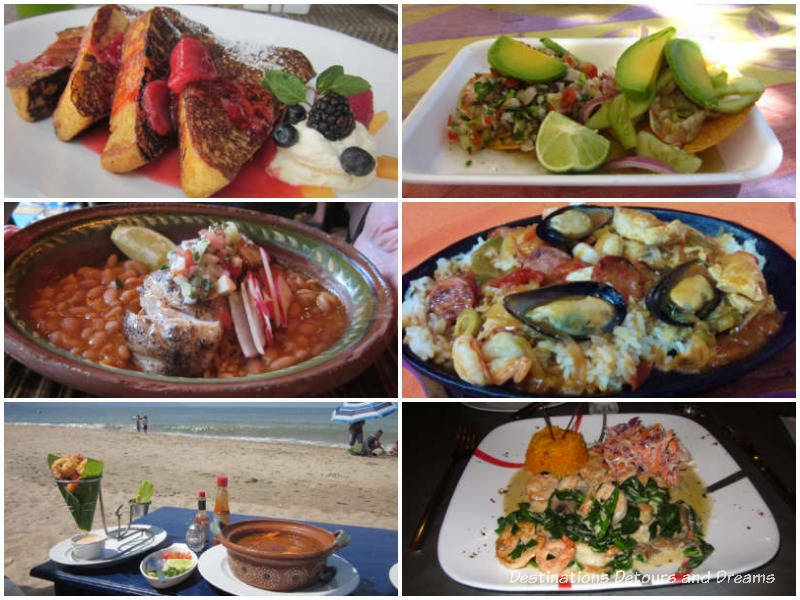 If you’d like to take a food tour, people I met spoke highly of both Vallarta Eats Food Tours and Vallarta Food Tours. I have not yet had the chance to personally take one of their tours. Cooking classes are available at El Arrayán, Miriam’s Mexican Kitchen, and Arte Culinario. Another thing I have not yet done in Puerto Vallarta and may be on the list for a future visit. Live music is played in many restaurants. Musicians stroll the beach and the Malecón. Sometimes you will discover a band playing in the town’s main square. 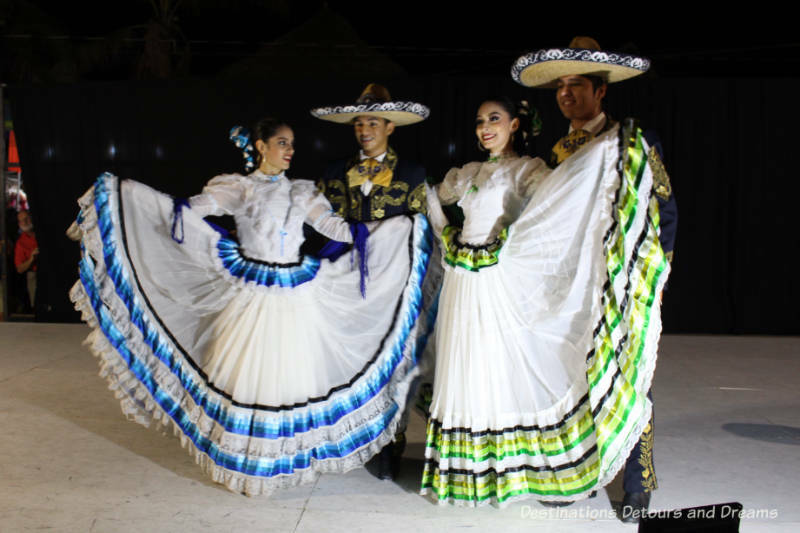 On Friday evenings, the Xiutla Folkloric Dancers perform in Lazaro Cardenas Park in the Romantic Zone. The performance starts at 7:30 pm, but people start arriving as early as 6 to get a seat. Food vendors set up in the park for the evening. The performance is free. Donations are collected to help fund the dance program. Take an International Friendship Club (IFC) home tour. 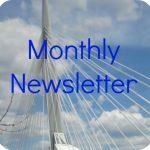 Tours are offered Tuesdays and Wednesdays November through March. Four unique and interesting homes are featured each week. Each week has a different slate of homes on the tour. IFC is a volunteer organization committed to funding charitable causes. The home tours are their major fundraiser. The Naval Historic Museum, located along the Malecón, contains interactive exhibits in English and Spanish that highlight Mexico’s maritime history. 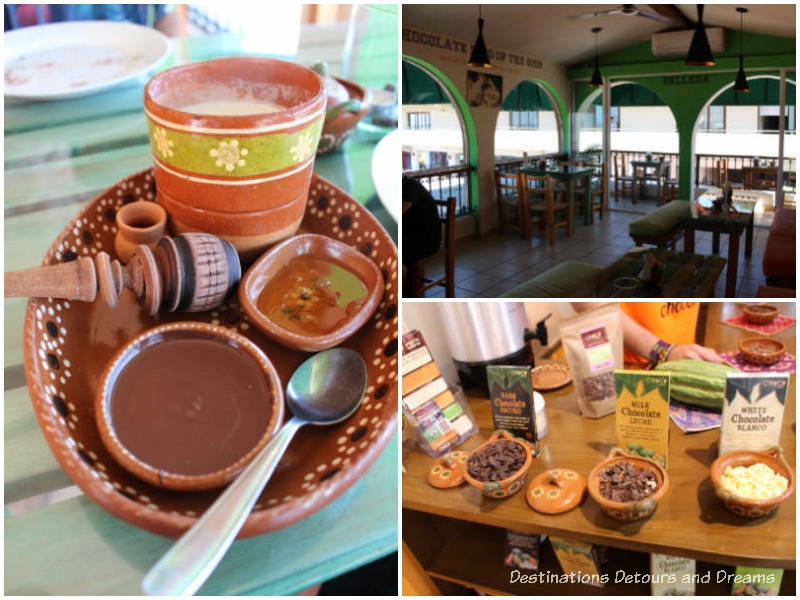 Learn about the history of cacao and chocolate at the free Choco Museo, located on Josefa Ortiz de Dominguez less than a block from the Malecón. The first floor contains a gift shop where you can purchase a variety of chocolate items and sample some of the museum’s chocolate products, made on site using fair trade and organic chocolate. The second floor is the museum. Signs on the wall in Spanish and English recount the history of chocolate and the process of making chocolate. There are also a few artifacts relating to chocolate making. The museum is small but the information is well-presented. It is complete and easy to follow. The third floor is a café offering a variety of chocolate treats and drinks. It has a great view looking out over the Malecón. The museum also offers workshops where you can learn more and try your hand at making chocolate, truffles, or mole. The beach is the main attraction for many visitors. You can set your chair or blanket and umbrella up anywhere along the beach. Or settle into one of the lounge chairs provided by restaurants along the beach in the Romantic Zone. For the price of a drink or two and maybe a snack, you can spend several comfortable hours. The enthusiastic beach lover may want to explore the many beaches to the south and the north of the city. Each beach is a little different, varying from sandy to rocky. Waters can be smooth for swimming or have waves for surfing. I am not into water sports and am uncomfortable in many boats, but a range of water activities are available for those who do enjoy them. You could go snorkeling, diving, parasailing or paddle boarding. Fishing charters and whale watching excursions are also available. Humpback whales come into Banderas Bay December through mid-March to have their babies. If walking the neighbourhoods isn’t enough exercise to wear off the food you’ve been feasting on, you may want to go to one of the many yoga studios in the city. Zumba classes are held at 8 am in Lazaro Cardenas Park. A couple of companies offer bike and fat bike tours, in and outside the city. I think the hills and cobblestone streets would be a challenge for cyclists. You can also find staircases in many parts of the city to get your exercise. The condo we rented was half way up a staircase of 90 steps. From our balcony, we sometimes watched people run up and down a few of those stairs to get a workout! Massage those aching muscles at one of the many spas. Or have your feet, legs, and/or shoulders massaged while you laze on the beach. Things to shop for in Puerto Vallarta include cigars, coffee, vanilla, chocolate, tequila, Mexican art and handicrafts, leather goods, silver jewelry, pottery, and ceramics. There are many unique stores and galleries in El Centro and in the Romantic Zone. You’ll find street side stalls in tourist areas, particularly along Basilio Badillo. 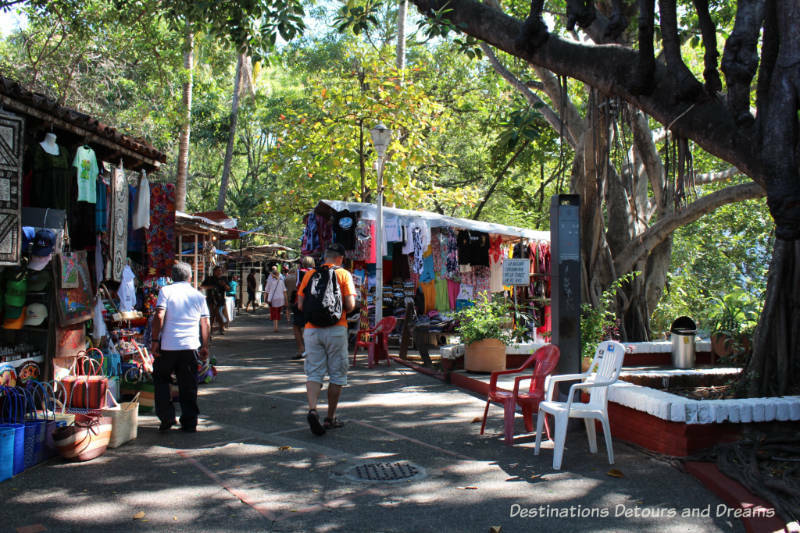 There is a flea market on Isla Cuale. The Municipal Market is located on the north side of Río Cuale between Insurgentes and Morelos Streets. 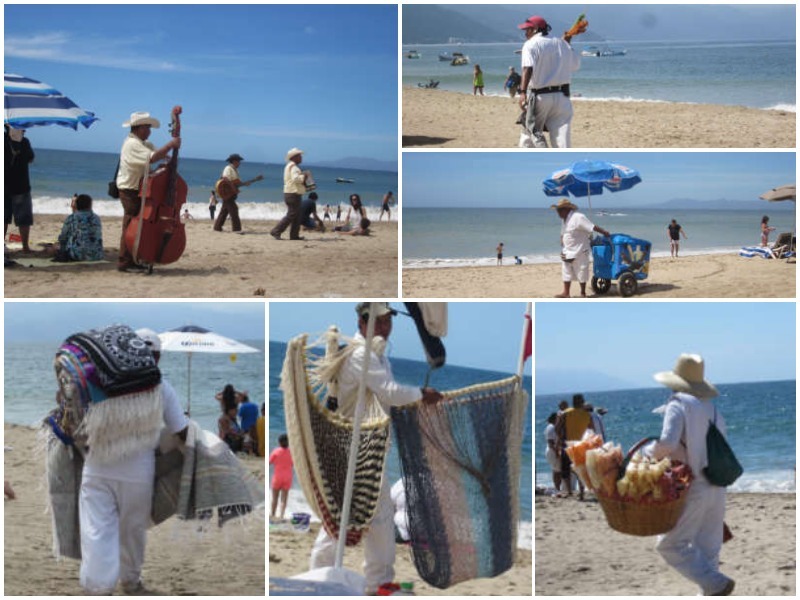 Vendors stroll the beach and the Malecón. Barter at the flea markets and with street vendors. A number of artisan markets operate November through April. There is a Friday morning market in the Marsol Hotel by Los Muertos Pier. The Olas Atlas Farmer’s Market takes place Saturday mornings at Lazaro Cardenas Park. The Three Hens & a Rooster Market also runs on Saturday mornings. It is located at Venustiano Carranza 466. There is a Thursday evening market along the Marina. Take Spanish lessons at the International Friendship Club or another school in the city. Visit the Puerto Vallarta Zoo and the Vallarta Botanical Gardens, both located south of the city. 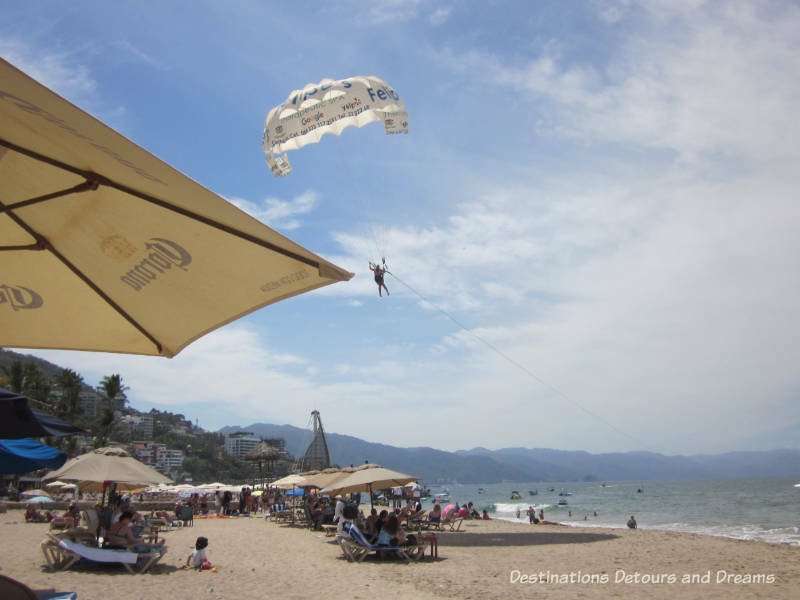 There are beach towns to explore to the south and to the north of Puerto Vallarta. A tour to San Sebastion del Oeste in the mountains to the east of the city makes for an interesting day trip. 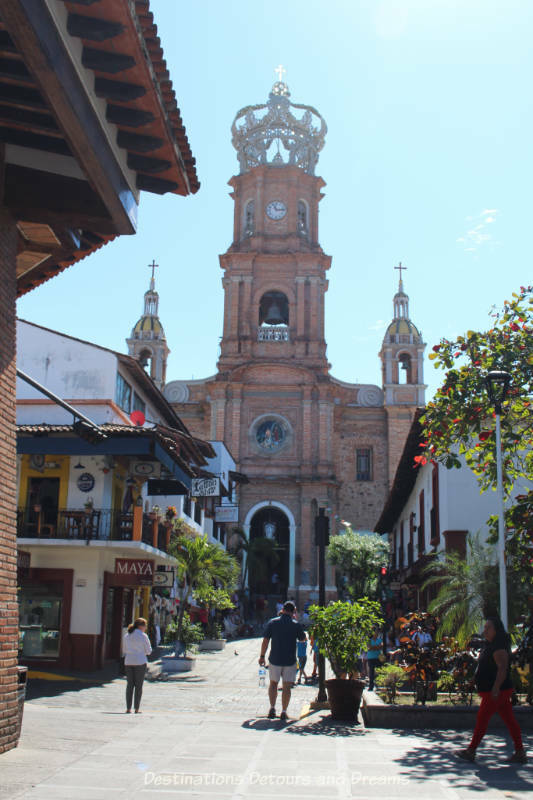 More information on what to do in Puerto Vallarta is available at the tourism office across the street from Our Lady of Guadalupe Church. Two free weekly English-language newspapers Vallarta Tribune and pv mirror contain information on ongoing events and events occurring in the upcoming week. Look for copies at various businesses and galleries. 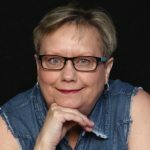 This article was also published on Midlife Boulevard. What a wonderful list! 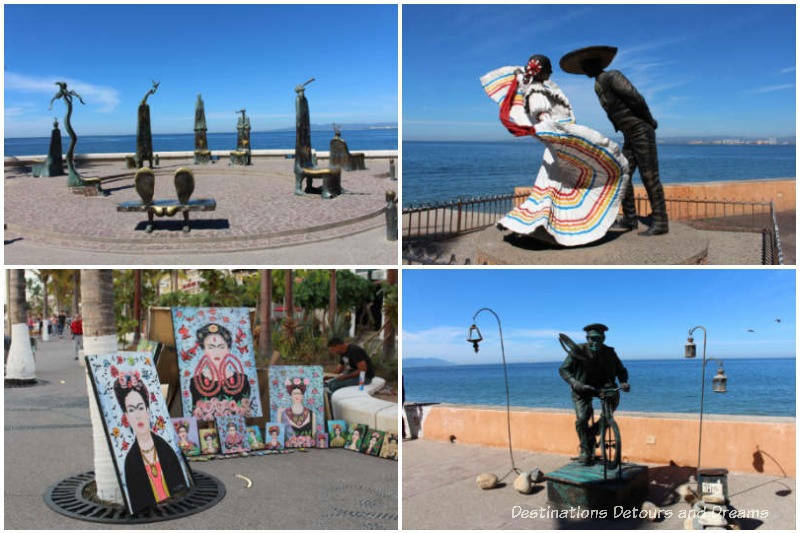 From art, to walking to eating well and being entertained, Puerto Vallarta has so much more going for it than what I got to experience during my week there too long ago. You are really making me want to go back. What’s the story with the man with the bass on the beach? That’s industrious! RoseMary, bands of 2-3 musicians who would play for you for a monetary donation were a fixture along the beach. Most did not have a big bass like this one. Not the easiest thing to carry around. It would be tough to get me out of the restaurants, but if it was Wednesday I might head out for the art walk. Ken, it is easy to spend a lot of time in the restaurants – lots of great ones to choose from. Doreen, ChocoMuseo is new. I think it just opened in 2017. 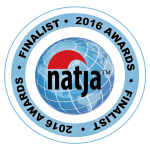 It is part of the chain that has over 20 museums world wide. Would you believe we have never been to PV? But my daughter is constantly telling me to visit. Next year, since it is only 6 hours from Mazatlan, we will probably go! I can’t wait to have all the art, food, shopping, etc. Your photos of Our Lady of Guadalupe Church really made me smile. I was in Puerto Vallarta many years ago and on a lovely evening stroll came across a wedding taking place there. It was a wonderful little slice of life. 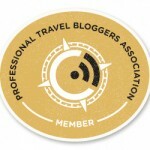 Great tips and I hope to get back there and follow in your footsteps. Cathy, we came across a wedding there one evening as well. It was lovely. Looks as if there’s loads to do in Puerto Vallarta. I think I’d enjoy an evening stroll along the Malecón followed by some of that yummy looking food. Karen, evening strolls along the Malecón on one of the best things in PV. 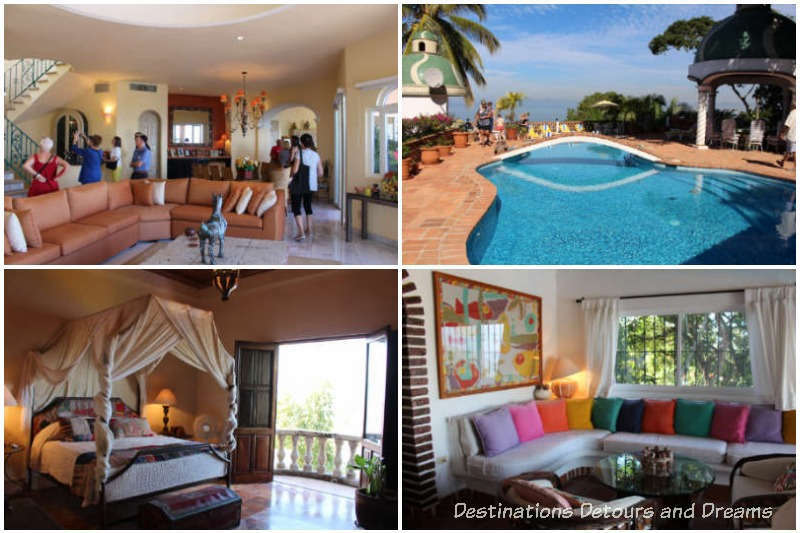 Puerto Vallarta is such a wonderful place to visit and there is so much to do there. I’ve never heard before about those house tours–would love to do that next time I’m in town. Carole, the home tour was a fun and different thing to do. I haven’t been to Puerta Vallarta for many years and you’ve made it so appealing. I certainly hadn’t seen the beautiful street art. Irene, many of the pieces of street art I saw were relatively new. I got the impression that a lot of it has happened within the last few years. I would so love to visit Puerto Vallarta one of these days. I have never been to Mexico, but always associate it with colorful art, food, and people. Jeri, I haven’t seen much of Mexico but colourful art, food and people certainly describes Puerto Vallarta. Such an appealing and charming city! I’m kicking myself that we never explored this part of Mexico during our time in Mexico and Central America. Of course, if we’d ended up visiting Puerto Vallarta, we may not have left. Anita, you may not have left! There is so much to see and discover everywhere we go we can’t get to it all, much as we try sometimes! I am sadly lacking when it comes to my Mexican experiences. 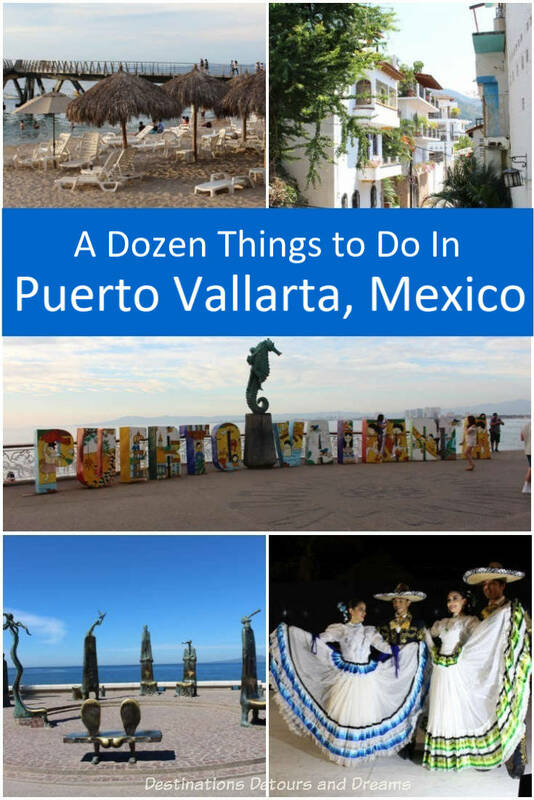 I would love to visit Puerto Vallarta and do many of the things on your excellent list!! 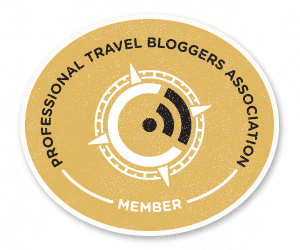 Thank you for a great post! Puerto Vallarta looks absolutely wonderful!